Synopsis: Elijah Alexander, New York's hottest, cockiest, and most media-hungry Assistant District Attorney, is about to learn something shocking: he is not even human. 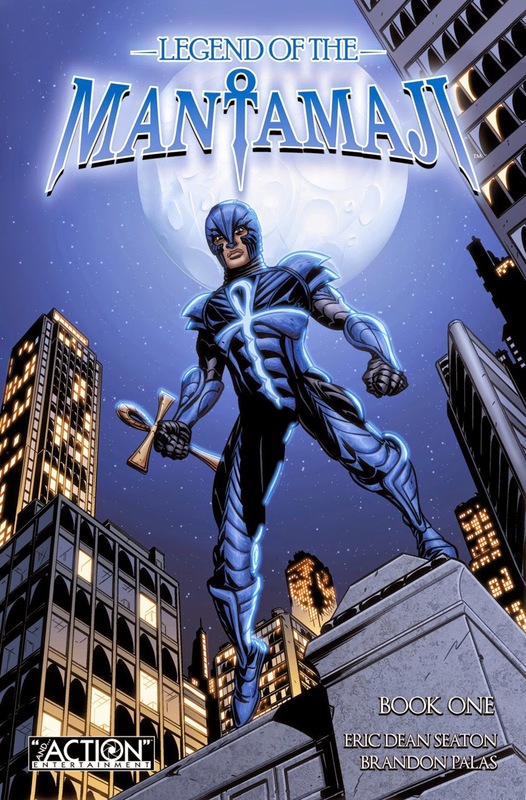 He's the last of the Mantamaji, a long-lost race of warriors who once protected humanity when the world was young. 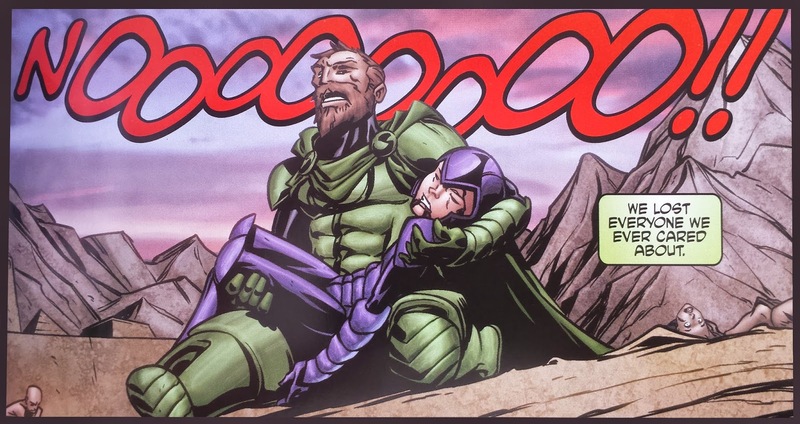 Now another Mantamaji--the worst of all their kind--has reawakened to visit doom on all of humanity. Can Elijah accept his past, reject his present life, and learn about his talents, in time to defeat the villain who killed all the other Mantamaji before him. I was looking at the Legend of the Mantamaji website because I was adding publisher data to one of the comic book Wiki's and stumbled across a request for reviewers. I looked at the artwork, read the synopsis and immediately took a liking to the Mantamaji. I then decided to send a request to do a review which was accepted. I received the package with the trilogy just five days later, which is incredibly fast for an oversees international parcel. The package contained all three books in the trilogy and were packaged nicely in a plastic bubble wrap envelope protecting it from falling and rain. Very fast international service from the people at 'And... Action Entertainment'. You know the feeling you get when you open a package and take out one or more graphic novels/books/comics and they just feel 'right'? That is just what I felt upon opening my package containing Book One of 'Legend of the Mantamaji'. The Korean printer has done a very professional job with respect to the colors they really come out at you from the cover. The shiny interior and thicker matte cover paper used displays the artwork in deep vibrant and saturated colors. The pages in my copy have all been cut straight and are kept together with perfect binding. Eric Dean Seaton is an accomplished director and producer but he's been hiding his true talent for writing comic books and I think it's time to unleash them into the world. This is his first comic book and an origin story. I usually dislike those, they often leave me with a feeling of not wanting, but being forced to read it in order to understand the complete story. However, not this book. Good story buildup, followed by logical, but difficult and tough decisions. Gradual introduction to other main characters in a way that doesn't leave you feeling overwhelmed and no going back over the pages to see who's who and what you missed. There's not much narration, almost everything is lived by the characters which makes for a very organic reading process. It has some obvious Egyptian influences and some of the attributes ascribed to the Ankh symbol are similar to that of the Green Lantern's ring, but it's still different enough for me so see it as new. Book One took me for a surprise loop at the end.I did not see that coming and it left me wanting more. The art is realistic and magnificent. The way the armor wraps around Elijah's body is fantastic. Brandon Palas' artwork flows in a way that you can see the movement, it's almost like watching a cartoon on tv. You can imagine all the movements between the panels. The coloring by Andrew Dalhouse is brilliant as well. Blue is the dominant color in this book and since reading the Mantamaji I've learned that there are many shades of blue. I don't know how he does it and I'm very envious. The lettering by Eisner nominee Deron Bennett is quality work. It's never unclear where your focus should be and what you should be reading next. With the quality of the art, the brilliant coloring and the amazing writing I can easily see this turning into a series. Not just in graphic novel form but possibly on TV as well. With the recent revival of super heroes I can see a path to stardom for the Mantamaji. I've not read the other two books in this trilogy but if this first one is any indication I think it's going to be great. Here's your chance to come in on the ground floor and tell all your friends you've found this great new super hero. I usually take a break from reading when I've finished something just to let it simmer for a while, but I can tell you right now I'm diving into Book Two as soon as this review is finished.